VATICAN CITY (AP) — Pope Francis has paid an unusually personal and public tribute to French Cardinal Jean-Louis Tauran by attending the funeral of the former Vatican foreign minister and interfaith expert. 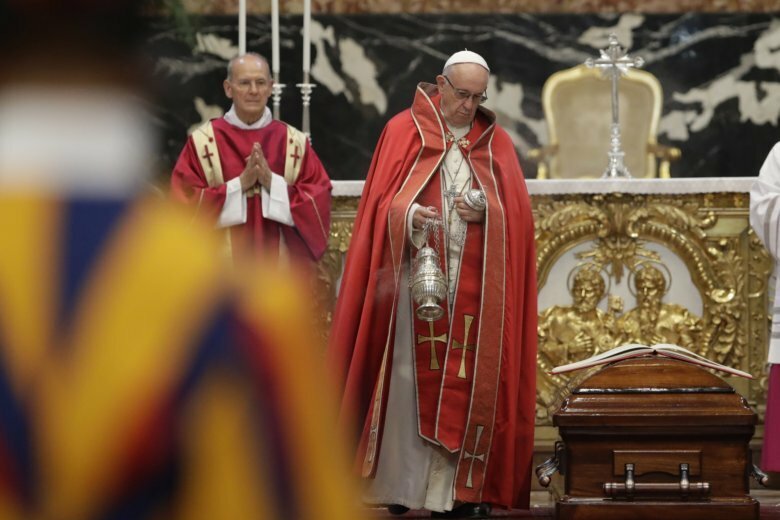 Usually, popes only preside over the final rites at funerals for cardinals. But in a sign of Francis’ esteem for his close confidante, Francis attended the entire Mass on Thursday in St. Peter’s Basilica, which was celebrated by the dean of the College of Cardinals, Cardinal Angelo Sodano. Even before Sodano and other cardinals processed in, Francis was seated on a chair to the side of the altar near Tauran’s casket. Tauran died last week in the United States, where he was being treated for the Parkinson’s disease that he suffered for years.